KNX Device Library for Arduino | build your self-made KNX device! build your self-made KNX device! KNX is an open communication protocol standard for intelligent buildings.This KNX device library is a free open-source (GPL v3) software that allows you to create your “self-made” KNX bus device. For that, you need an Arduino board and a Siemens TPUART chipset for the physical coupling to the KNX bus… and of course a home KNX installation (or at least a prototyped one like I have)! The code is available in the GITHUB REPOSITORY. The API and the general usage of the library are described in the Library API page. This blog aims at presenting and discussing concrete (future) realizations, shown in Realizations page. So they are the ideal companions to create flush-mounted wall devices like push buttons/detectors/sensors. How to connect the Arduino Mini Pro to the TPUART? The datasheet of the used TPUART2 board is available here. 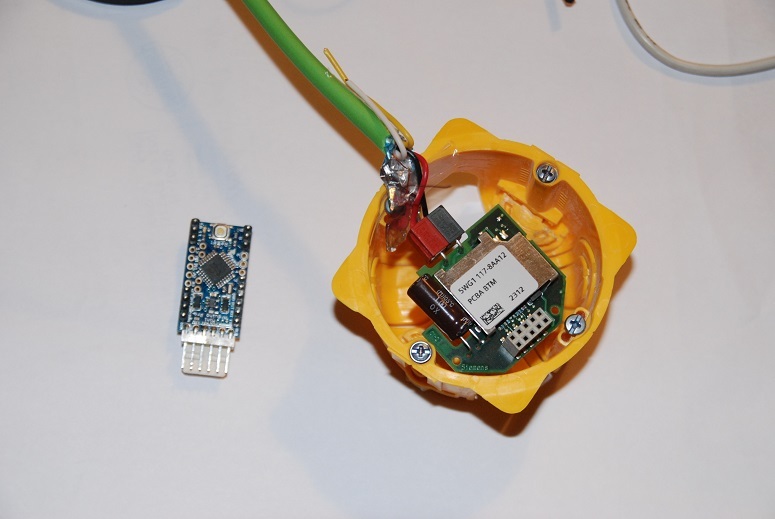 Since the Arduino Mini Pro (5V, Atmega328) is powered by the KNX bus, we shall connect the Arduino GND and VCC (5V) pins to the Supply ouput pins of the TPUART. Then connect the Arduino Rx pin to the Tpuart Tx pin and Arduino Tx to Tpuart Rx. thanks for good information and ideas! I’m olso interested about the build diy knx devices. do you have continiue your arduino projects? I’m interesting a relay plate building for lights and etc. Hello Karlismoto, sorry for my late reply. Yes, I’ve planed building new devices soon : a touchless button should come soon. A relay plate is a nice idea, can you tell more? on my side I plane to build diy temp/humidity sensors and digital I/O to manage garage doors. But when I ask Opternus for the device, they tell me that they don’t want to deal with individuals. I found siemens 5WG1117-2AB12 that looks to be the same, but after I saw that it exist more than one type of connector pin-out (usage). Can you explain the way you used to have this device ? Thank a lot for you job. I will share my production. Indeed, Opternus sell to Professionals only. I managed to get some samples by buying through an electricicity reseller located in my town. I’ve not played with 5WG1117-2AB12, but surely a TPUART/TUART2 chip is used inside. Do you have a reliable source regarding its pinout to share? The pinout may or may not be same as BTM2-PCB board one, at least the 8 pins (to be identified) should have the same functions. I’ve been thinking about a kind of weather station as well. My Knx house is almost done, and I see an outside luminosity sensor could be very helpful to better control the lightings. I used your code and it works like a dream. I used a homemade TP-UART board (https://bitbucket.org/dka/arduino-tpuart), Arduino UNO and some Gira, Siemens KNX products. This makes it possible to easly inject code on the fly onto the KNX BUS line. My knownledge of C++ is quite rough, and playing with the code is quite a challenge. Next steps for me are playing around with the code and buying a Arduino Mega. Thanks for the work done so far it’s something i’ve been looking for. 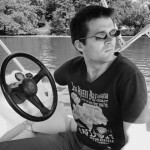 Hi, i am Theo, i am an KNX installer with a small experience in arduino. Last year got involved with arduino platform and i had the idea of ARDUINO – KNX interfacing in order to build cheap small custom solutions and i started to look around for it. I didn’t found something for the physical connection (except the Daniels Blog! and optenus site) So i decided to build my own KNX-Arduino interface and asked for the help of an engineer! We started to design the PCB but after a series of changes (and after a couple of months) he stopped responding to my messages (i do not know why!) and the project has stopped.I still find your idea extremely useful, not in a professional level (at the moment) but for hobbyists.I believe to this idea and i am looking forward to help you in any way i can! Hope to continue this Project! But I have problemes with the DPT-Types 7 and higher. That are U16 V16 types = _longValue. I will send a temperature value (DPT 9_001), but that is not possible. With ETS5 i can not see the message. All other message DPT <7 are recieved correct. nice to hear this project is used by some people! Mhmm, there might be an issue with the handling of 2 bytes long objects (I haven’t played a lot with them so far). Let me check on my side, I hope to find the root cause soon! By the way, could you tell a bit more about the device you’ve planed to build ? I’ve checked and so far, F16 DPT formats were not supported, that’s why it was not working. which supports all the usual DPT formats (F16 included). Please check and let me know! Hello, I got the following errors (use Arduino 1.6.0) – can you help ? I’m using an old IDE (1.0.6, it’s time to change!). The compiler with 1.6.0 seems stricter, because indeed, there was a mismatch in the UpdateValue() function header between declaration and definition. It is fixed in the new version (v0.1) I’ve just pushed on Github, can you check please? I have a siemens 5wg1 110-2ab11. does anybody have experience with that one? i can’t get it to run. is there anywhere a forum where i can ask, too? That 5wg1 110 does have a PEI interface on his 10 pin connector. others wrote about that 5WG1 117. that one has a bti interface. which interface is implemented in your class? The header on the BCU has 10 pins, and not just 8.
compliments for the good work. Is there any library version written in “C” for porting on my own microcontroller? no, the library is written in C++ only and relies on Arduino libraries. The easiest way is to migrate onto Arduino boards ;-)! I’d like to use an Arduino Nano (clone) and a siemens 5WG1117-2AB12 from EIBMarkt. the signal is coming on the RX line, I verify with an oscilloscope, but no action with the sample code. I use an Arduino as ISP to inject the code, because of the occupied RX/TX line, but how do you debug it to trace ? PS : Are you French ? I’m afraid it will not work on Nano because of the onboard FTDI chipset linked to RX line. In order to debug your installation, the best is to use a Mega board : it owns several serial ports: Serial0 is used to program and debug (serial monitor) while Serial1 is connected to the tpuart. Oui je suis français :-)! Hello. I’m having problems with the functionality of arduino and pcb tpuart. I’m using Arduino UNO and Vcc is provided by usb connection (I’m not using tpuart Vcc output because my consumption is around 50mA.) Ground pin is connected in order to reference signals. I have downloaded the program to turn on an output according to my knx certified keyboard, using your example. Nothing happens, no event can be detected. Do you know if I am doing something wrong? What could be my mistake? 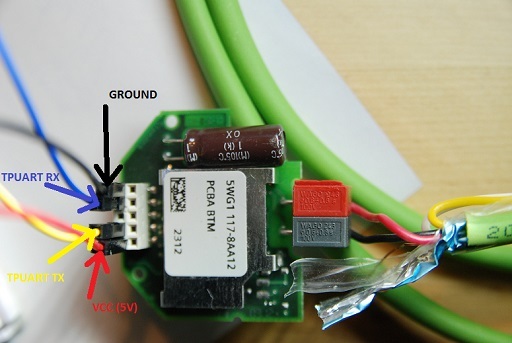 By connecting the USB ground to the tpuart ground, you may damage your arduino board or tpuart or whatever! 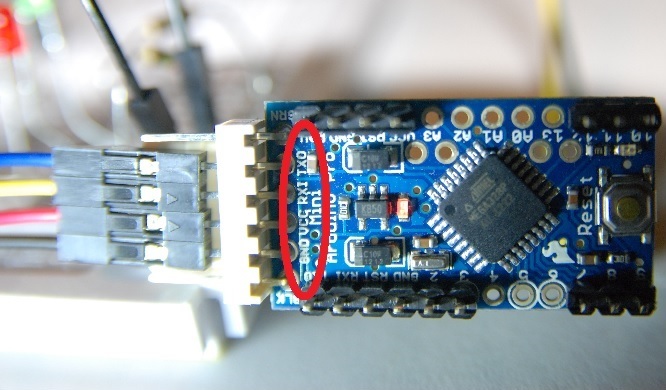 In your case, the only right way is to use optocouplers between the arduino serial port (rx & tx pins) and the tpuart. I’m using Mega 2560 due to that I need several HW serial ports. I will need to use optocoupler since I will Power the board from USB, and not from the KNXUART. Could you confirm that this schematic will work as optoisolator between the BTU and the Mega2560? I will use MCT6 couplers. I’ve had a look on the MCT6 datasheet, it looks fine with its bandwitdth of 150KHz (>19200 baud TPUART speed). Knx Device Library version 0.2 is available !